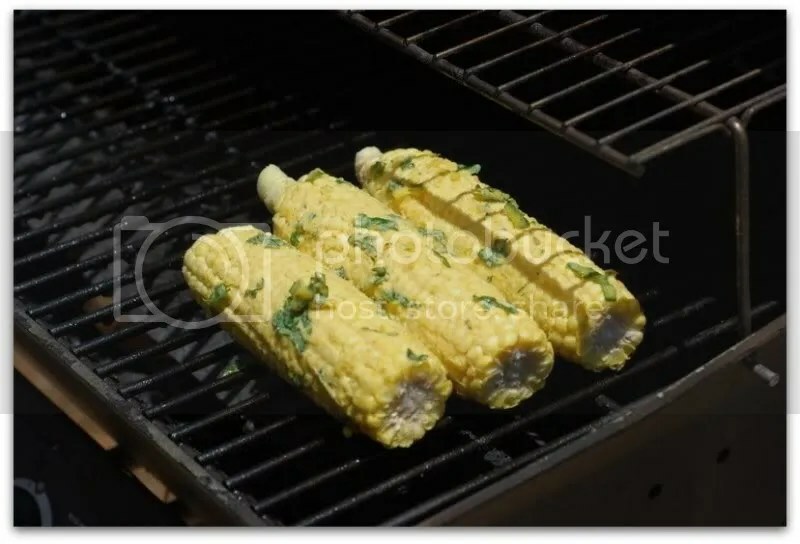 Nothing says summer to me like grilled fresh corn. I grew up in Pennsylvania and, come July, the rural roads would be lined with farmers’ stalls selling their bounty of succulent and sweet golden corn. 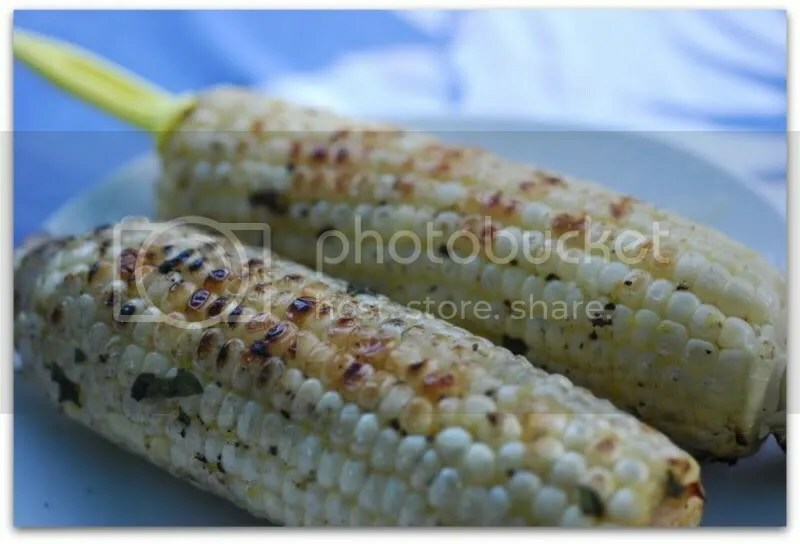 As a little girl I would clutch my corn cob holders tightly in my hands and dive on into grilled corn at family picnic and barbecues. When I would finally come up for air my cheeks and chin would be smeared with salty butter and flecked with yellow kernels. I would then request another corn on the cob. Not much has change since then, excepting for the fact that I now gorge myself on Hawaiian corn bought at the farmers’ market rather than on Pennsylvanian grown gold bought on the road in Amish country. My partner in crime, Dan, indulges this love of mine throughout the months of July and August by concocting up his special vegan corn rub – a basil butter adapted from a recipe in his Weber’s Real Grilling cookbook. This rub has taken my love of corn and turned it into a full fledged obsession – it is that good. Try some at your weekend barbecue today! Mix all of the “butter” ingredients together with a fork. Generously slather each ear of corn with butter. Grill over direct medium heat for 10 to 15 minutes, turning occasionally, until browned in spots and tender. Serve with any remaining butter. One week until we head out of The Netherlands! I can hardly wait to settle down in Australia and get ourselves a grill! Wasn’t much point here (too cold and wet!). That corn looks awesome! Now I need to get my grill out! Just about one half hour ago, I posted a plea for advice on great corn recipes. Am I ever glad I stopped by your site today! I’m going to give this try with the corn I got in my veg box this weekend. Thanks! I made this yesterday and it was SO good! I never really liked corn (except popcorn…) but this way it was delicious. The basil butter on bread is very tasty too.